From petrol to electric to battery operated, there’s a mower to make this essential summer job a little easier. Whether you’ve got a big or small patch of grass to tame, see our article for which mower might suit. 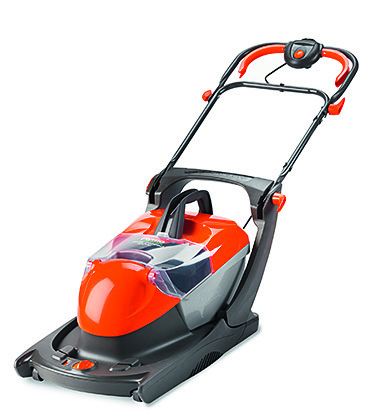 Pros: Once assembled, this corded hover mower was straightforward to operate and is so lightweight it can even be used with one hand. When used on a small, flat lawn it cut well and evenly and also managed to cut almost as efficiently on more uneven ground. Cons: It comes in parts and took a skilled DIY’er more than 30 minutes to assemble. Although the instructions were well laid out they were confusing in parts with not enough explanation provided. For such a small, compact mower it was quite noisy and occasionally, when it came to longer grass it struggled to glide properly. Pros: This cordless push mower comes partially assembled and took no longer than 30 minutes to get up and running – no technical skills necessary. Using it was a pleasure as it’s so lightweight, easy to push, not too noisy and you don’t have to worry about a cable dragging behind you. It cut short grass well, giving a faint stripped effect to the lawn. The mulching function – in which grass clippings are recycled back into the soil – worked well too. Cons: It wasn’t great on the lumpier and bumpier areas of lawn, where it needed to work a bit harder. This seemed to run the battery down more quickly (though it does come with two batteries). Also, it has a removable safety key which, once removed and reinserted, had to be manipulated a bit in order to get the mower going again. 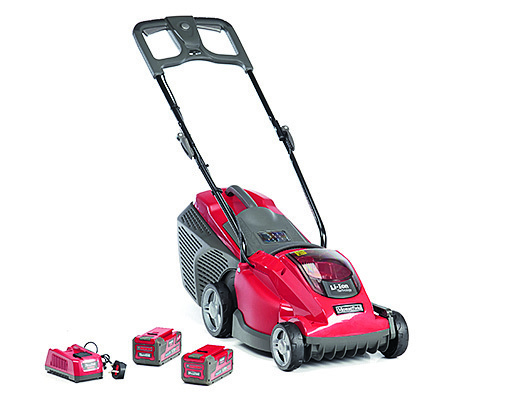 Pros: This self-propelled petrol lawnmower is packed with user-friendly features including adjustable height handle and walking speed, a one-pull starter that started every time, a ‘bag full’ indicator and our tester’s favourite: the mower can be folded in half and stored upright without flooding the engine. 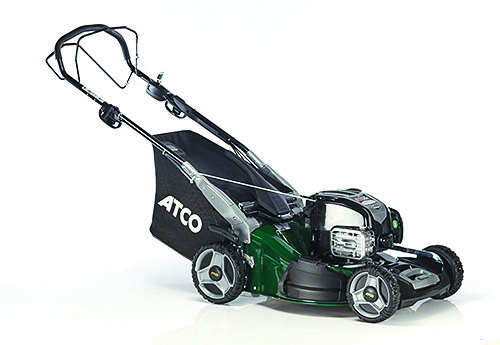 The petrol mower is economical and makes short work of large lawns, making mowing a pleasure. The cutting height is also easily adjustable and the 70-litre collector holds plenty. Cleaning is a cinch with the handy hose feature, which allows you to attach your hose to the chassis and clean the underside in under a minute. Cons: Emptying the collector takes a bit of skill as if you do it wrong the handy flap springs down, knocking clippings out in a pile on your lawn! It is quite heavy so if you have steps to navigate it could need two people to lift it up and down. Expensive – but also worth the money.